DERRICK CITY, Pa.---Thomas A. “Tommy” Clark, 76, of Derrick City, passed away on Saturday, March 16, 2019, in Bradford Regional Medical Center, Bradford, after a long illness. Born on Friday, June 5, 1942 in Olean, N.Y., he was a son of Albert W. “Click” and Lucille H. “Lucie” Ahl Clark. On February 14, 1991 in Bradford, he married Kathryn A. “Kay” Frantz, who passed away on October 3, 2016. Tommy was a graduate of Bradford High School, Class of 1961. He attended Lindsey Wilson College in Columbia, Kentucky. He owned Clark’s Service Store in Shinglehouse, from 1971 until September of 1982 and later owned and operated T & C Enterprizes in Derrick City. He was a member of Asbury United Methodist Church in Bradford. Tommy spent many hours drinking coffee and chatting with his friends and associates. Surviving are a son, Anthony “Tony” (Michele) Clark of Westminster, Maryland; a grandson, Keegan Clark; a granddaughter, Raegen Clark; and numerous cousins. In addition to his parents and wife, Tommy was predeceased by an infant daughter, Kimberly Ann Clark. Family and friends may call from 9 a.m. to 11 a.m. on Saturday, March 30, 2019, at the Virgil L. Howard Funeral Home, 118 South Union Street, Shinglehouse, where a memorial service will follow at 11 a.m. with the Rev. Preston L. Hutchins, Jr., pastor of the Shinglehouse United Methodist Church, officiating. Burial will be in Maple Grove Cemetery, Shinglehouse. In lieu of flowers, memorials may be made to the Shinglehouse American Legion Post 530, PO Box 25, Shinglehouse, PA 16748. 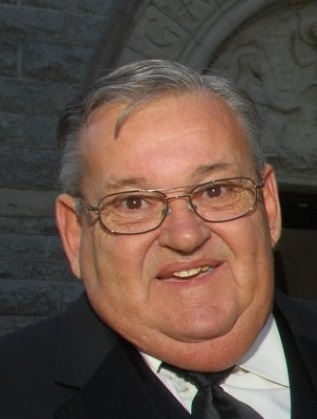 Tommy’s family has entrusted his care and cremation arrangements to Kevin Dusenbury, funeral director/owner of the Virgil L. Howard Funeral Home, Shinglehouse.